Now you can travel to far-off lands with your children as the long-awaited volume 3 is here! While this series is geared toward 1-6 graders, this volume works well with middle school students too. Read some honest reviews here - over 35 of them! Imagine walking in the footsteps of Socrates, Alexander the Great, the Apostle Paul... See and understand ancient civilizations and great empires from what has been left behind and carefully preserved. Hear the stories passed down from generation to generation, before the advent of paper and printing presses. As we explore the Classical World, you and your family will delight in incredible, mysterious landscapes, hidden wonders and beautiful peoples - all created in God's image. Download the first 3 chapters to read and try for yourself! 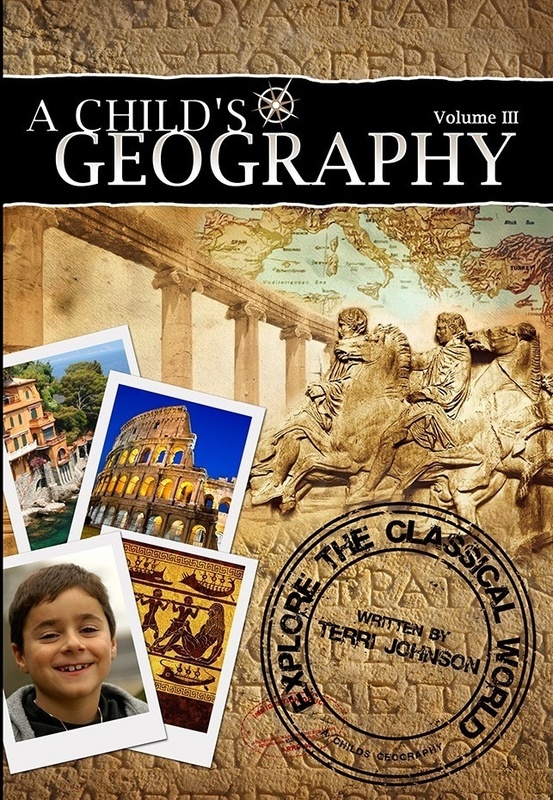 This is a complete, stand-alone Geography and History Curriculum. 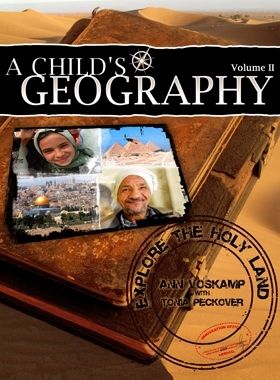 Pair with Explore the Holy Land for a thorough study of the geography and history of the Ancient World. Click the "Add to Cart" button to get your softcover book! Large 22x34 Pull-Out Map for your "travels" through the Classical world. $12.95 value. 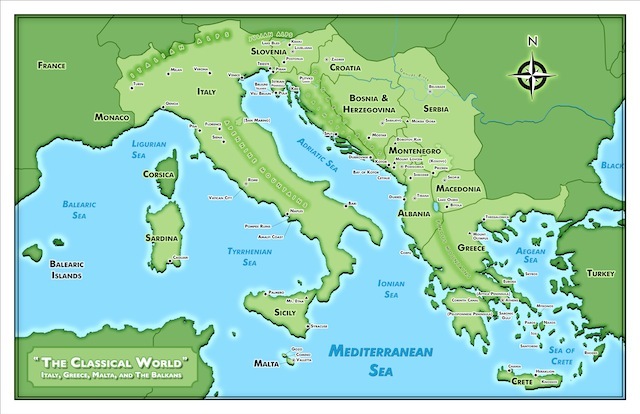 Get the Classical World map WITH the softcover book and Save $5. $44.90 value. Buy the ebook and save! Ebook is available NOW and link will be delivered via email.